Tamlin Homes has just received the “Award of Excellence” for design from the Fraser Valley Real Estate Board for our design and build of our Hybrid Timber Frame Office/Facility in Langley. The design inspiration was conceived by both owners, Chris Lynn and Paul Tabuchi with Chris actually taking the ideas and putting them to actual plans. We are very humbled by the award and appreciate the consideration and recognition from the Real Estate Committee. 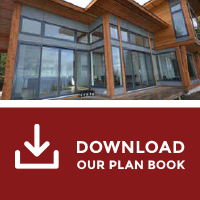 Tamlin has been designing custom homes and commercial projects/renovations for over 30 years now and we have just released our new ‘ West Coast Contemporary’ plans on our website. You can view them here.